Micajah Clark Dyer Jr. may land in the Georgia Aviation Hall of Fame, whether he flew or not. 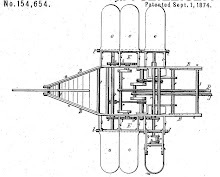 Howard "Mac" McWhorter, chairman emeritus for the aviation hall's board of directors, said this week the Union County settler has drawn attention for his 1874 patent on a "flying ship." The hall is interested in adding Dyer, his invention and his quest in a timeline of state aviation history, particularly considering that Georgia's flight centennial is next year. It's not yet clear exactly how Dyer will be featured in the hall, which is part of the Museum of Aviation at Robins Air Force Base in Warner Robins. "What we do with it, I don't know yet," McWhorter said. Dyer descendant Sylvia Dyer Turnage had known of the interest. "I'm very, very pleased," said Turnage, who lives on her great-great-grandfather's farm in the Choestoe community. Dyer received a patent for a craft with a zeppelin-shaped balloon and hinged, bird-like wings nearly 30 years before Orville and Wilbur Wright recorded the first sustained, powered flight of a controllable heavier-than-air aircraft. According to family members, eyewitnesses said Dyer also flew some version of this craft or another off Rattlesnake Mountain at his farm. 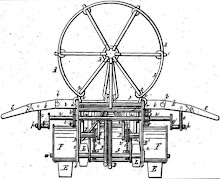 The story continues that his wife sold the invention to two Redwine brothers after Dyer's death in 1891, and they possibly resold it to the Wright brothers. There are questions about whether Dyer ever made it off the ground. At least one aviation history specialist also has looked askance at any connection with the Wrights. But McWhorter said the hall is looking into the different angles. Events and possible exhibits also are being mapped out to recognize 100 years of Georgia aviation. Ben Epps logged the state's first airplane flight in field near Athens in 1907. Dyer could crop up in related exhibits, or celebrations inducting four hall members next April in Warner Robins and marking Epps' flight in October 2007 in Athens. The state recently renamed part of Ga. 180 that leads through Choestoe as Micajah Clark Dyer Parkway. Turnage said that Union's sole commissioner, Lamar Paris, also plans to proclaim Sept. 1, the date Dyer received his patent 132 years ago, as Micajah Clark Dyer Jr. Day in the county.